Last week, I attended the Contemporary Art Show in Istanbul, Turkey. One night at dinner, I heard a story about how a Turkish photographer had found one of his works being reproduced and sold by someone in New York. He asked if there is anything he could do about it sincere was not a U.S. citizen. The answer to that question is a resounding; Yes. Let me explain why. Although there is no such thing as an international copyright and each country is responsible for creating its copyright laws. There are a several treaties that set minimum standards for the protection of the rights of the creators of copyrighted works around the world. As a signatory, a country is bound by the treaty terms, although the country can have stricter regulations as long as they maintain the minimums set by the treaty. There is no such thing as an “international copyright” that will automatically protect an author’s writings throughout the world. Protection against unauthorized use in a particular country depends on the national laws of that country. The most important of these agreements is the Berne Convention, with over 160 countries having signed on, including Turkey and the United States. See here for a list of countries that have signed onto this Treaty). In the United State, copyright is automatic; as soon as the work is created and put onto a “tangible medium,” it receives copyright protection. This is actually a requirement of the Berne Convention. Prior to the United States signing on in 1986, authors were required to register with the Copyright Office as well as display a © notice on any work to receive copyright protection. But as a signee to Berne, the United States had to change its laws to conform. However, the U.S does have additional laws that go beyond the minimum requirements including higher awards in a copyright infringement lawsuit for those that register their work within three months of publishing or if registered before the actual infringement occurs. 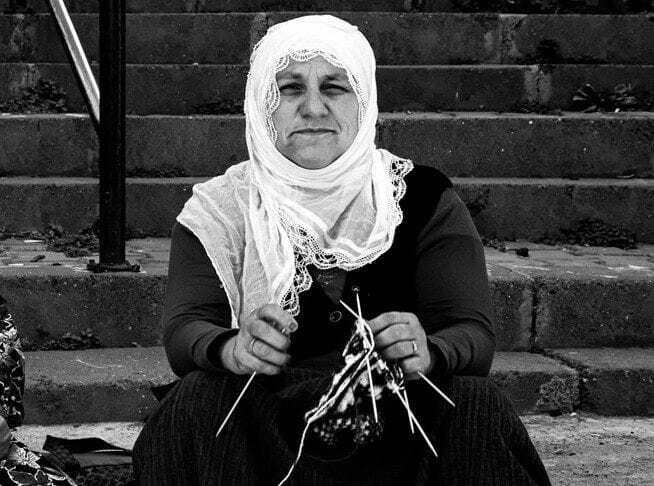 The Turkish photographer automatically gains copyright protection for his work as a Turkish citizen. And that protection carries over to any country signed onto the Berne Convention. In bringing a lawsuit, the photographer would receive the same treatment as a U.S. citizen. And, just like a U.S citizen, a foreigner can register its work with the Copyright Office and receive the same statutory awards. There is one interesting difference for the foreign work however; as per the U.S Copyright Act, before bringing a lawsuit for copyright infringement, the infringing work must be registered with the Copyright Office, regardless of whether registration is after the discovery of the infringement. In that case, statutory damages are not available, but actual damages will be. This is not the case for foreign works. What is a foreign work? As a general rule, citizenship or sovereignty status, not location where a work is made, establishes nationality insofar as copyright status is concerned. Copyright infringement suits can be brought without a copyright registration, but if the author wants to invoke statutory penalties, then the same rules apply as does U.S. works; registration within the first 3 months of publication or before the infringement occurs. In this case, the infringement has already occurred so statutory damages are not available. But the photographer can initiate a lawsuit for actual damages, including all the profits the gallery made from the work, without registering the work.